Analyzing both historical contexts and geographical locations, this volume explores the continuous reformation of state power and its potential in situations of violent conflict. The state, otherwise understood as an abstract and transcendent concept in many works on globalization in political philosophy, is instead located and analyzed here as an embedded part of lived reality. This relationship to the state is exposed as an integral factor to the formation of the social – whether in Africa, the Middle East, South America or the United States. 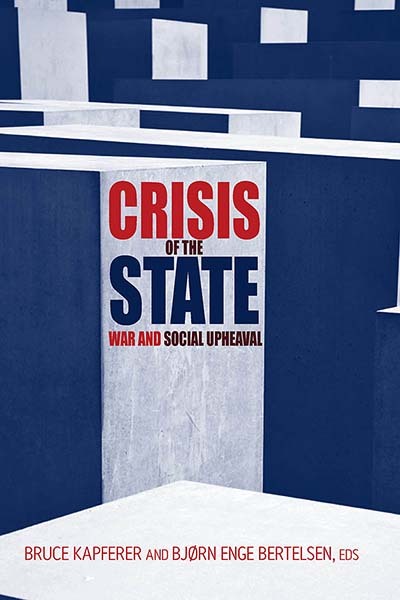 Through the examination of these particular empirical settings of war or war-like situations, the book further argues for the continued importance of the state in shifting social and political circumstances. In doing so, the authors provide a critical contribution to debates within a broad spectrum of fields that are concerned with the future of the state, the nature of sovereignty, and globalization. Bruce Kapferer is Professor of Anthropology at the University of Bergen. He has held academic positions in Zambia, Manchester, Adelaide, London and Queensland and carried out extensive fieldwork in Zambia, Sri Lanka, India, Australia and South Africa. His major publications include The Feast of the Sorcerer (University of Chicago Press) and Legends of People, Myths of State (Smithsonian Institution Press). Bjørn Enge Bertelsen is a Postdoctoral Fellow at Bergen University. His fieldwork focuses on Mozambique, on violence, war, history, sovereignty and the postcolonial state. His publications include "'It Will Rain until We Are in Power’: Floods, Elections and Memory in Mozambique" in Rights and the Politics of Recognition in Africa (Zed Books). Chapter 3. Market Forces, Political Violence and War. The End of Nation-states, the Rise of Ethnic and Global Sovereignties? Chapter 12. Israel’s Wall and the Logic of Encystation. Sovereign Exception or Wild Sovereignty?